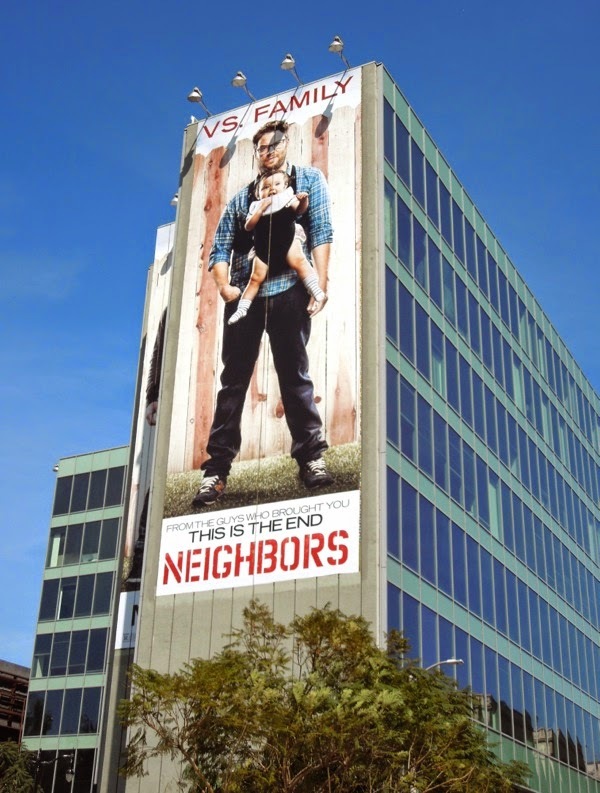 Following a week of cool new TV ad creatives, it's time to make a big splash for a new movie coming this May. 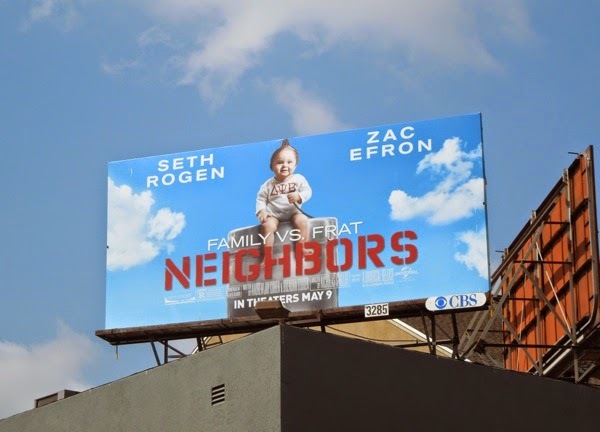 Starring Seth Rogen and Zac Efron, Neighbors (not to be confused with ABC's The Neighbors TV series), finds a young couple (Rogen and Rose Byrne) with a newborn baby having to live next to a fraternity house and as you can imagine, hilarity ensues (hopefully). Obviously Zac Efron's latest real-life misadventures make his drunken frat boy president 'Teddy' character sightly more believe than his squeaky clean-cut imagine from his Disney High School Musical days, but let's hope this comedy fares better than his recent cinematic offering, That Awkward Moment, which didn't set any box office records. 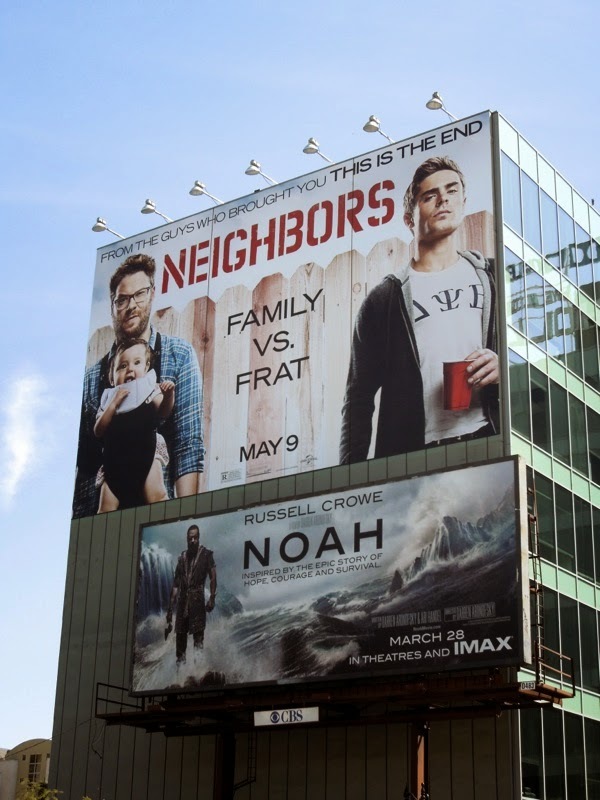 Fortunately, this movie is from the guys who also brought you This Is The End, however the prominence of these credentials on these promo billboards makes us slightly worried about how funny this new film actually will be. 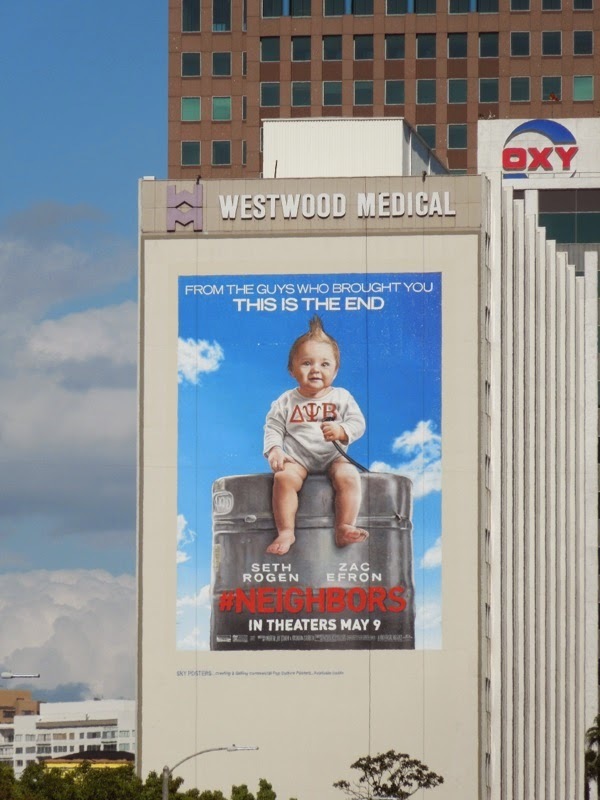 Obviously the studio has confidence in this next door neighbor comedy with this giant 'baby' billboard spied along Wilshire Boulevard in Westwood on April 1, plus another two super-sized 'Frat vs. Family' creatives featuring the main leads snapped at the intersection of Franklin and Highland Avenues in Hollywood on April 3, 2014. Let the war of the neighbors begin. 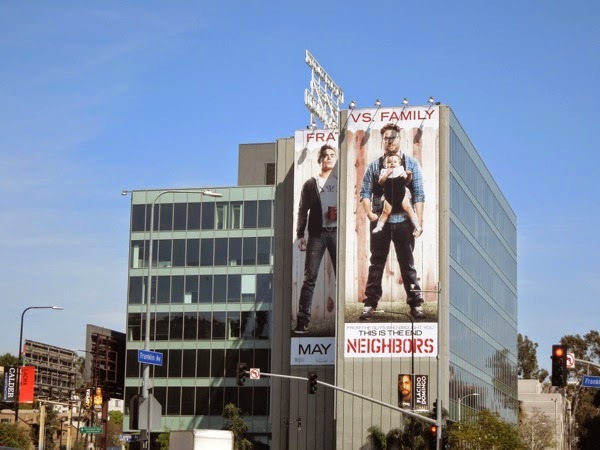 UPDATED: Here's also a standard landscape billboard for the movie snapped along L.A.'s Sunset Strip on April 14, 2014. 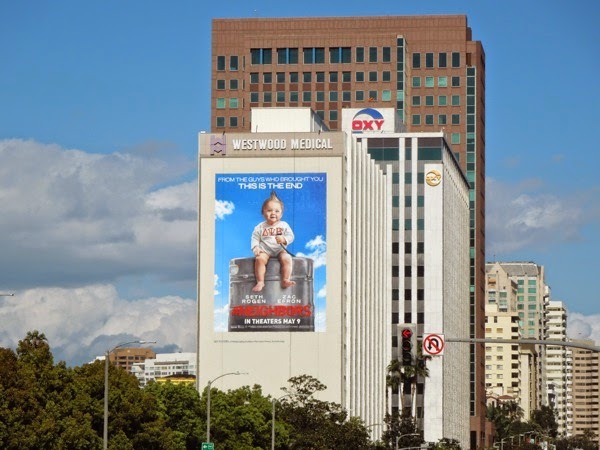 Plus here's a smaller version of the baby chugging on the beer keg creative, this one spied along Melrose Avenue on May 8, 2014.